223 in stock Need More ? 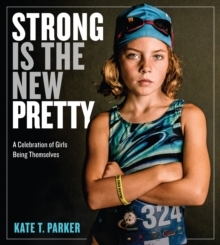 Inspired by the popular photo project of the same title that went viral in the spring of 2015, Strong Is the New Pretty is a photo-driven book comprised of 100 high-quality black-and-white and color images (with minimal text) of fierce and joyful girls--a celebration of what it means to be strong (whether athletic, bookish, brainy, brave, loyal, or courageous). The photographs champion the message that girls are perfect in their imperfection; beautiful in their chaotic, authentic lives; and empowered by their strength instead of their looks. They are messy. They are loud. Wild. Full of life. Adventurous. Silly. Funny. Strong.